In software and hardware businesses new ideas, technologies and products come down the pike at a rapid-fire pace. Many fail immediately and some muddle along before finally fizzling out. Some meet with modest success. Only a very select few turn into long run, big time hits. How can you tell which products will become hits out of a sea of mediocrity? 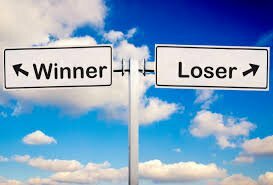 How do you separate technology winners and loser? Not many people can differentiate between these new ideas, technologies and products at an early enough stage to profit massively from it. Keep in mind I’m not talking about small successes, but the really big ones. The ability pick the out big winners early is a rare skill set, yet one that is applicable across a wide swath of function areas including general management, product planning/management, inventors, venture investing, stock analysis/selection and many more. Solve a fundamental issue, bend a cost curve, create a new playing field? Not every new product is based upon a fundamental technical breakthrough — but it sure helps! After all, innovation is still the basis of the technology business. This is where you look first when seeking big ideas you can profit massively from; something that fundamentally changes the game in a particular marketplace. One of the most spectacular examples of a breakthrough that met all three of these criteria is the personal computer. It solved some of the fundamental problems of the time associated with mainframe computing, certainly bent the cost curve of computing downward (and continues to due so even today) and created an entirely new ecosystem with broad societal implications. Meeting all three of these criteria is a very tall order that you won’t see happen often, but passing one of these three tests is almost essential for a big-time winner with staying power. Where does this breakthrough fit in the marketplace? There are certainly many great stories of fundamental research breakthroughs without immediately obvious market applications, that ultimately found a market and became a great hit. The problem occurs when the second step—finding a market—is given short shrift, or skipped completely. This can happen when there is too much pure excitement and the folks funding the project have a rigidly technical viewpoint. The number of big successes without expert market vetting is actually pretty rare, although there have been some spectacular exceptions. We’ve all heard of the invention of super glue by accident. And Thomas Watson Senior, Chairman of the IBM Corporation in 1943 was quoted as saying: “I think there is a world market for about five computers.” Five units do not make a commercial market, but IBM made the investment anyway—and look how that turned out. But in reality the number of fundamental breakthroughs in the research lab dwarfs the number of truly successful, innovative new commercial products. So it’s important to not get TOO excited about these breakthroughs until a commercial application becomes obvious and realistic. Avoid at all costs the proverbial “cure looking for a disease”, regardless of the almost mythical stories of a few massive winners borne from purely technical circumstances. Comparison to alternative solutions, both current and forecast? After deciding the breakthrough isn’t a cure looking for a disease and establishing which market segment it fits in, it’s also very important to evaluate how it stacks up vs. rival technologies and products. And not just with respect to a current market snapshot, but looking forward as well. Forecasting really comes into play here; which technical platform has the longest runway? An example is satellite TV vs. Cable TV. When Satellite TV came into play it took a lot of market share quickly by providing innovative new services which the utility-like Cable TV companies were slow to match. But in the long run the massive wired infrastructure of the CableCos may provide a strategic technical advantage in that long running battle by enabling a more advanced and diverse product set with greater available bandwidth. Do the owners have what it takes to bring it to market? This question applies not only when evaluating another party’s product or technology—but also your own. Realistic self-reflection is important in identifying tech industry winners. There have been some great new innovations that have been wasted due to bad marketing, lack of financial resources or just plain ignorance and incompetence. These weaknesses often lead to the “ arrows in the back of the pioneer”, where the folks that initially bring out the “next big thing” fail or are quickly overtaken by a more tactically skilled competitor, who improves on the idea and/or out-executes them in the market. The software spreadsheet market is instructive here, conjuring up images of several bigger fish progressively swallowing smaller ones. VisiCalc was the original spreadsheet innovator overtaken by Lotus who was then in turn overtaken by MS Excel. The resources and capabilities of the innovation’s owner matters a great deal in the long run. Is this technology or product defensible? This is what often separates the “flash in the pan” from a true long term winner. Defensibility can be defined by the traditional technology means of patents, copyrights and trade secrets. But there are more subtle ways of defense that can be very successful in the long run: branding, entrenched distribution channels, strategic partnerships and cost advantages. Especially in the software and hardware businesses there are tons of fast followers, who are lying in wait for an emerging trend or new market segment, where they can apply deep resources and tactical skill to out-execute the pioneers. In hardware markets the major Japanese manufacturers long ago mastered this model by taking US inventions and productizing them to be cheaper and better. The large Korean manufacturers then found success with this same model and most recently it’s been replicated by the Chinese. In the software business, Microsoft and other large software companies have grown by either mimicking or buying up technology leaders who have pioneered a new market segment. However it’s done–make sure the next big thing is truly defensible before betting on it becoming a big-time, long term winner. Does the idea, technology or product pass muster from every angle? As stated earlier, it really helps to be a “renaissance man” man with a multidisciplinary worldview. But people meeting that description are in very short supply, so it’s really important to employ experts across several key disciplines such as technology, finance, manufacturing and marketing when evaluating market potential and possible weaknesses. In our business marketing and technology are usually the key differentiating factors for tech industry winners, so at a minimum make sure that expertise is brought to bear in those areas during your evaluation. There you have it – my view on how best to separate the wheat from the chaff (winners from the losers). Post a comment with your own view of this very debatable topic.